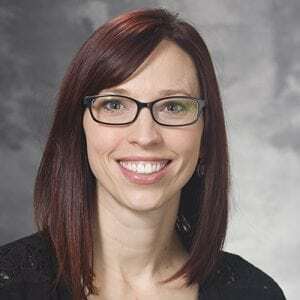 Emerald Doll, MS, CCC–SLP, is a speech pathologist at the University of Wisconsin Voice and Swallow Clinics. She received a Bachelor of Music from the University of Madison and later returned to Madison and received her Masters of Science in Speech Language Pathology. Emerald enjoys working with singers, actors, speakers, and patients with heavy vocal demands and needs. You can often see Emerald doing what she loves most — on stage performing in musicals and plays in and around the Madison area.